Unfortunately, there are all too many crappy HR professionals out there. Don’t get me wrong, there are a lot of wonderful and successful HR Professionals, but there are also many (usually well-meaning) HR pros who make some common mistakes and jeopardize the effectiveness of not only HR, but also jeopardize the effectiveness of their leadership. 1. Work Too Hard – Yes, at some of the wrong times, HR works too hard. This happens when HR does things that they really should be empowering someone else (usually people leaders) to do. All those difficult employee meetings, resolving conflict between employees and even presenting corrective or disciplinary action. Now, there are times when HR’s expertise is needed to guide some sticky (and potentially risky) situations closely and get directly involved. However, even when directly involved, lead the leaders through these situations to help empower them to handle (or perhaps avoid) these situations in the future. Do not usurp leadership’s responsibility from leading because it’s a tough or difficult situation. Supervisors and Managers are in place to lead – do not take this away from them, even when they want you to! 2. Solve Problems – Let’s face it, many HR Pros are great at solving people problems. HR loves being the hero, putting out fires, coming up with brilliant (and hopefully effective) solutions. 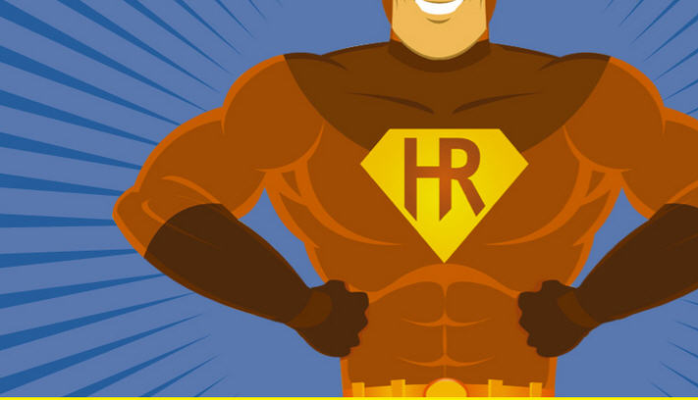 HR to the rescue! It is enticing to be the HR professional that is wonderful at putting out fires and has a great reputation for fixing problems. However, what happens the next time that employee has an issue? Do they go to their Manager, or do they go to HR? Who should they be going to??? If you fix all the problems, is your leadership team going to be willing and able to handle similar situations in the future? It doesn’t always have to be HR’s idea and it shouldn’t always be HR solving people problems. 3. Care About Employees – OK, you may have been with me for the first two points, but are you really going to tell me that HR shouldn’t be caring about the employees? Well OK, HR should care about the people in the organization, however, the best way to do that is through the leadership of the organization. If employees think, perceive or feel that HR are the only ones that care about them, your organization is in serious trouble. Do not care about the employees at the expense of your people leaders not having to care for their direct reports. Leaders are not allowed to outsource caring to HR. Is the employee going through a tough time or has a personal issue that is impacting them at work? Make sure that their direct leader gets the opportunity to care for them; do not steal the opportunity for a leader to build rapport with their employee. If your direct leader doesn’t care or doesn’t want to have these types of conversations with their people, why are they in a leadership position? Care about employees, yes absolutely, but do not take away or replace the care that needs to come from their own leadership. Remember, people become disengaged and/or quit the organization most frequently because of their direct Supervisor (not their HR department). The items in this list have a common theme: they all take away from what people leaders are supposed to be doing themselves. When HR takes over the things that leadership should be doing, HR is essentially breaking the chain of command with employees and cutting out leaderships’ legs from underneath them. It is no wonder that many well-meaning HR pros have been described as power hungry and have garnered resentment from leadership. HR needs to be the coach, the supporter in the background, empowering those managers and people leaders to actually lead (especially when it’s tough). Are you empowering your leaders or are you simply creating reliance on HR? Creating reliance on HR is crappy way to be an HR professional. If you would like more information on Acuity HR Solutions approaches HR, please check out our website at www.acuityhr.ca. Please sign up for our newsletter! If you like to learn more about our leadership approach and training, please visit us here: https://acuityhr.ca/training-and-development/intentional-people-leadership-training/.